ChefVille players have cooked almost 700 million total dishes. 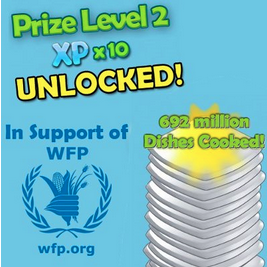 300 million more dishes cooked and Zynga will donate to the World Food Program. It also looks like Prize Level 3 will be unlocked soon in the Community Table.